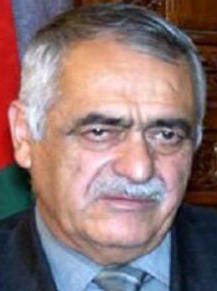 Sayed Mohammad Stanikzai Sapand (2011). Previously he was working for NGO Besmellah Social Services Association BSSA. Afghan Bios Insider View: The High Office of Oversight for Anticorruption seems to be a catchy name but the fact is that they could only use their influence on smaller entities till 2016. Corruption cases to be investigated were decided on case basis. If the corruption involves high level people in the government, it was ignored. President Karzai in July 2008, issued a Decree establishing a High Office for Oversight and Anti-corruption (HOOAC). This law has been enacted in the light of the provisions of Article (7), item (3) of Article (75) and Article (142) of the Afghanistan Constitution and in accordance with the United Nations Convention against Corruption in order to oversee and coordinate the implementation of the Anti- Corruption Strategy. The creation of this Office has fulfilled the requirement of Article 6 of the UN Convention against Corruption. The High Office of Oversight and Anti-corruption (HOOAC) is the highest office for the coordination and monitoring of the implementation of the Anti-Corruption Strategy and for the implementation of administrative procedural reform in the country. This office shall be independent in carrying out its duties and shall be reporting to the President. Since corruption is a major cross-cutting issue, the urgent need to have a high-level inter-institutional oversight of the anti-corruption effort was understood, as there was insufficient coordination of efforts and no one existing agency could take the lead on all parts of the agenda. Considering this complex scenario, the HOOAC has been mandated with a unifying oversight function to coordinate, supervise and support all anti-corruption efforts in Afghanistan. The HOOAC shall be the focal point for overseeing policy development and implementation of anti corruption strategies. The HOOAC will strive to bring agencies together rather than competing with them.